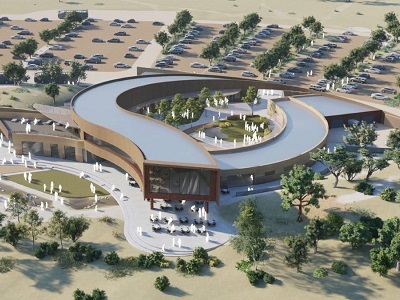 A significant increase in visitor numbers at Monarto Zoo's Wild Africa development has prompted Zoos SA to build a new visitor information centre. Jointly funded by the Federal and State Governments, the new $16.8 million building will comprise of a cafe, nature play space, gift shop and visitor information, and a restaurant or function space. The existing visitors’ centre was built in 1997 but with a 20 percent increase in visitor numbers at the zoo each year over the past five years, the facility was unable to cope with the additional traffic. The zoo is a very popular nature and wildlife destination for tourists. The new centre will not only create 136 temporary jobs during construction but also provide jobs to 89 people during the operational phase. Zoos SA also expects the centre to contribute $6.3 million to South Australia's economy each year. The new visitor centre will help the zoo cater to the increasing number of domestic and international tourists. Future plans for the Wild Africa project include a safari resort, luxury camping and other experiences.